Though I recently ran through some of the Halloween offerings on the free-to-play scene, some wallet-friendly haunts had yet to unveil their spookier side. Now that October 31st is nearly upon us, the few stragglers out there seem to have come out in full, spooky force. Here's a list of who's joined the party, and what they brought with them. 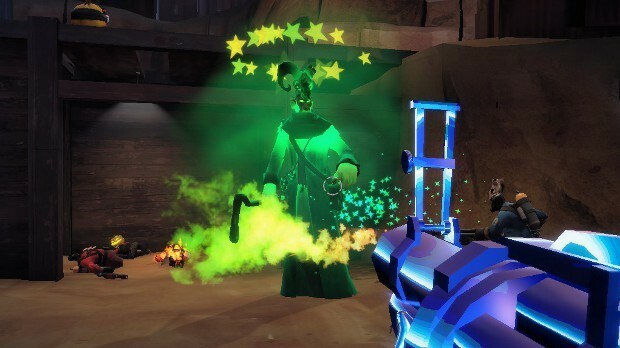 As anticipated, Team Fortress 2 has gone all out for Halloween again this year with Scream Fortress. A spooky spread of new goodies have dropped in the store, Soldier's former roommate and currently ghostly wizard, Merasmus, is haunting a new King of the Hill map, and there's a new Mann vs Machine throwdown against hordes of zombies rather than robots. Players have until November 8th to check out all of the above, as well as snag a couple of new, event-specific achievements in the process. Building on their earlier costume selection, Elsword has added Halloween masks, a Halloween-themed dungeon, and Grim Reaper appearances across almost all of their maps, which can be sought in quests for special holiday items. Even the Reaper's scythe is being handed out in various forms solely for logging in for at least ten minutes on certain days, so if you're strapped for time, you can at least get a few souvenirs before time's up. Super Monday Night Combat unveiled some new Los Muertos uniforms for all available Pros, as well as a Los Muertos Stare flair. None of them are quite as magnificent as the Mr. Destructoid set for Karl that was available around the game's initial release, but that's to be expected. 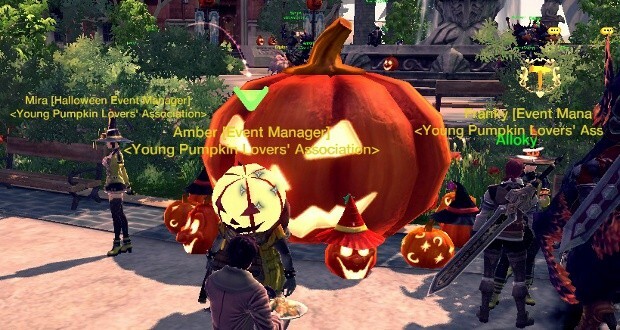 Coinciding handily with their move from closed to open beta, RaiderZ has chucked pumpkins wherever they can across their servers. Not all of them are decorative, however; lootable pumpkins are spawning all over the place, and their contents, as well as candy collected from fallen foes, can be traded in for Halloween outfits, toys, and even a witch's broomstick mount. The outfits are, unfortunately, temporary, but permanent versions can be purchased in the game's cash shop. Unlike most of the other seasonal events going on, RaiderZ's Halloween celebration is running all the way to November 20th, so you've got plenty of time to hoard more treats. 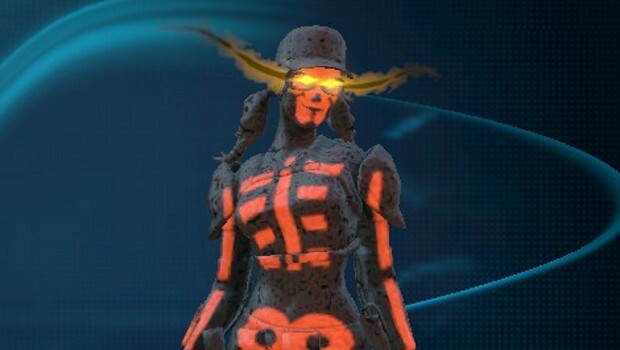 While Firefall's open beta is still code-reliant, those who've managed to get in already or manage to sneak in during the next couple of weeks can celebrate the Night Of The Melding. Luau Larry kiosks in the game are selling a slew of Halloween goods, including decorations like spiderwebs and tombstones, and anyone can buy one of several masks from the New You stations, in styles such as a skull, hockey mask, or pumpkin, among other things. Additionally, most of the other free-to-play All Hallow's action is still underway, so get out there and get your freebie on, even if you're too old to be taken seriously trick-or-treating.